Making changes in life rarely happens in one magical moment. Sure it can happen, but it’s not the norm. For most of us, it’s one small change after another, made consistently over time. It’s not magical. Actually it’s quite simple and easy to do. It’s also easy not to do. That’s why so many of us fail to have the kind of life we long for. You’re not one of those who will read this, and continue on the same as you did yesterday. Today is a defining moment. Today is when your future changes. You know the saying … to have a different life than you have right now, you have to do something differently. And that’s what I did after I saw my schedule from a different perspective. I didn’t want to keep doing the same thing and wonder why life wasn’t all that it could be. But first, there was a problem. It was me. I was holding me back. Any maybe you have the same problem too. I first had to look at the results I was getting in my life and acknowledge that I was living life as a kind of daily scramble. It was time to get real about what I was spending my time on and why. We see our lives through rose coloured glasses, giving ourselves permission to live as we do because it’s for a good reason. I know those activities and commitments may sound noble, honourable and even servant hearted, but maybe they’re not. Not when we aren’t taking care of ourselves properly. And if you’re not sure where to start, I’d start there. What things do you need to be doing or not doing to be the best you? Think about the effects your actions are having on your life. Are they helping you achieve your goals and value those you love? So that’s what I did. I got honest about how I was living, the effect my actions were having on my life, and what needed to change. Did it happen all at once? Not at all! In fact it took quite some time. I made one small change at a time. I’d let go on something from my schedule, only to collect something else, rather than using that time to do what I knew I needed to be doing. Think two steps forward and one step back. Sure, it could have been quicker, but it was still forward progress. I didn’t have someone to show me how. So I’m glad I can save you a good chunk of the time it took me to change course and start seeing the kind of results I wanted in my life. To begin, look over your insights and pick one thing that you want to change in your schedule. Don’t try to change more than one thing at a time! Success is found in taking one small action forward at a time. Keep in mind, sometimes you may need to enlist the help of others, physically, mentally and spiritually. It may be paid or as I say, “for the pleasure of being part of the family”. For me to make changes, I needed to purposefully engage my family in more things around the home. It wasn’t that they didn’t do anything, quite the opposite but I saw we could improve how we worked together. It’s incredible what we’ve accomplished since we made some changes in how we do life together. I wanted to share more about what was going on in business + life. Now my husband checks in and tells in me it’s time I had lunch with friends. And this one didn’t come easily as someone who enjoys helping others. I needed to accept help when it was offered or ask when I needed it. That and setting limits on myself about how much I do for others. I can see now that sometimes it wasn’t the best for either of us, even though my intention was to help. As you start making changes to your schedule, what you do and don’t do, check in with yourself, your family or work colleagues and see how it’s going. Note what’s working and what’s not. 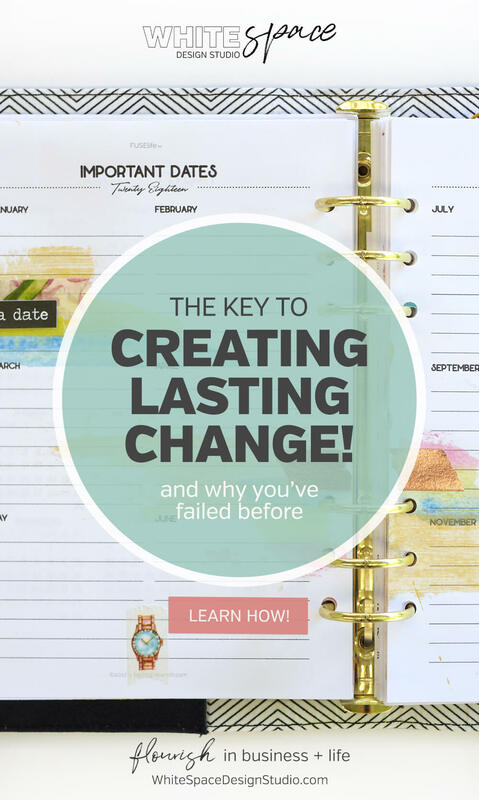 This is really important if you want lasting change that will compound and give you the results you desire. Don’t let yourself off the hook so easy. Remember the things that matter are easy to do, and easy not to do. If you need some help or support join me in The Studio, you can sign up below to receive your Daily Success Pack, plus access to monthly life calls and more. Best of all it’s free! To live the life we desire is a combination of things we need to stop and the need to do those everyday things a little differently, one small choice at a time. Yes, there are things that need to go. Like old tshits and socks with holes. Those commitments + activities aren’t helping us live a life of meaning and purpose. I look forward to sharing with you next time how you can create your own before + after success story when you plan your day a different way. So I’m curious, what do you want your life look like and what changes can you make to get from where you are, to where you want to be? You can choose to stop trying to get it all done and say goodbye to the daily scramble, one small change at a time! Let me show you how to plan your day a different way here. Grab your FREE daily success pack below and join The Studio and find support as you learn to plan your day a different way.